I slipped up and fell off the stilts recently – flirting with flats. Call off the medics and stop your goss. I am back on the wagon, or the ladder, so to speak. These ballet shoes are more my vibe, n’est-ce pas? 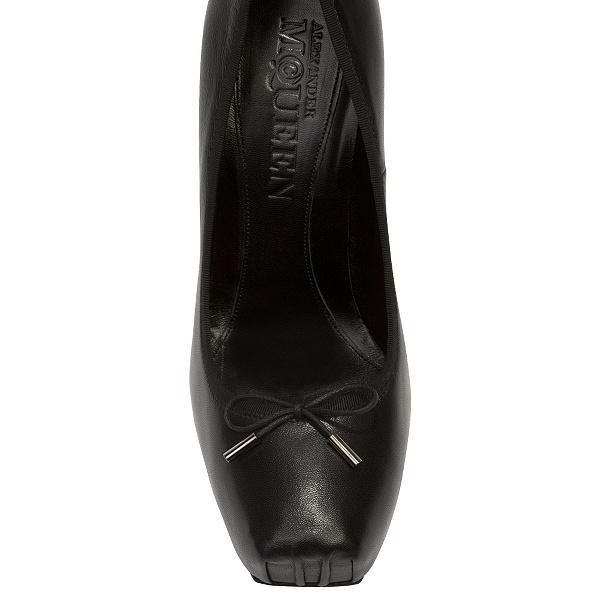 Devant: In ballet, the working foot is closed in the front – like the tip of this shoe. Élévation: Achieve height in the dance of everyday life! Who could possibly understand me as well as Mr. McQueen did? He knew to make ballet “slippers” with heels. I miss him with every step.